As the Associated Press reports, Ernest and Heather Franklin have been accused of murdering their 16-year-old disabled adopted son Jeffrey, then covering up the evidence with a house fire. 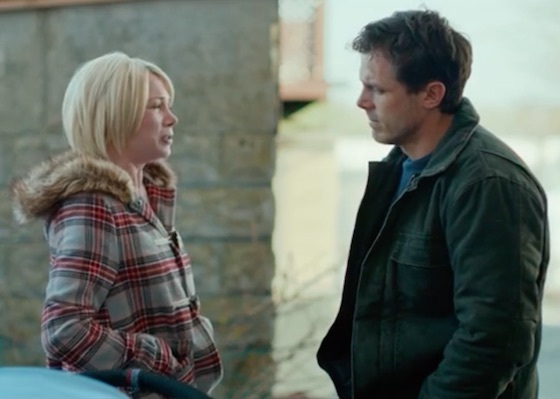 In Manchester by the Sea, Casey Affleck's character accidentally kills his children in a house fire. He is not prosecuted. The Franklins had reportedly watched the film just two hours before Jeffrey was killed. This took place on February 28, two days after the film won Oscars for Best Actor and Best Original Screenplay. Ernest and Heather Franklin were charged with second-degree murder, arson and tampering with physical evidence. Michael Trosset, Heather Franklin's attorney, told the court that she's "innocent until proven guilty." Heather claims that she was shopping at two different stores when the fire started, while Ernest claims he was chasing the family's dogs on their property. During a bail hearing, however, Chenango County District Attorney Joseph McBride said that an autopsy proved Jeffrey had been killed before the fire started. "The victim was badly burned.... Because of the damage to the body by the fire, the pathologist is not able to determine the cause of death." Bail was set at $250,000 for Ernest Franklin and $125,000 for Heather Franklin, neither of whom have posted bail as of press time.